This property is currently a flourishing rental property, originally rented as individual rooms, the owners decided to rent the villa as a complete unit, very successfully. 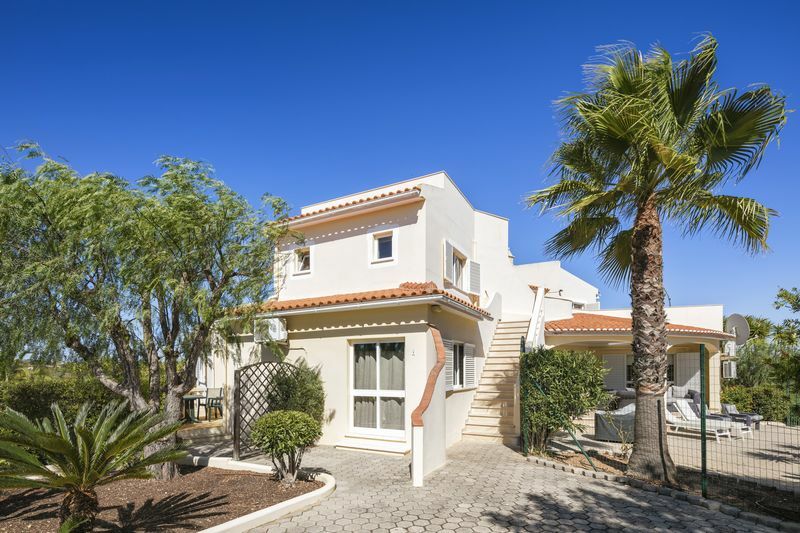 Situated on a good plot, only minutes from the popular Albandeira beach and with extensive sea views from several of the terraces and of course 360º from the large roof terrace. 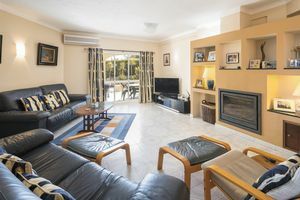 The villa has a large open plan lounge, dining room and kitchen, perfect for catering for large family groups, 2 en-suite bedrooms and 2 suites on this floor. Stairs to the upper floor take you to 2 further large suites. Further enhanced by a newly completed owners accommodation which has a kitchen, dining area, lounge, dressing room and en-suite bathroom. There are plenty of storage and utility areas needed to cater for a property of this size. All of this is complimented by a super pool and BBQ area and adequate parking. Its unusual to find a property of this size in such a desirable location. Unusually this property is entered through a doorway approached by a short staircase. This spacious lounge diner is open plan to the modern kitchen and has patio doors to a covered terrace. It has an electronically controlled log burner and air conditioning. 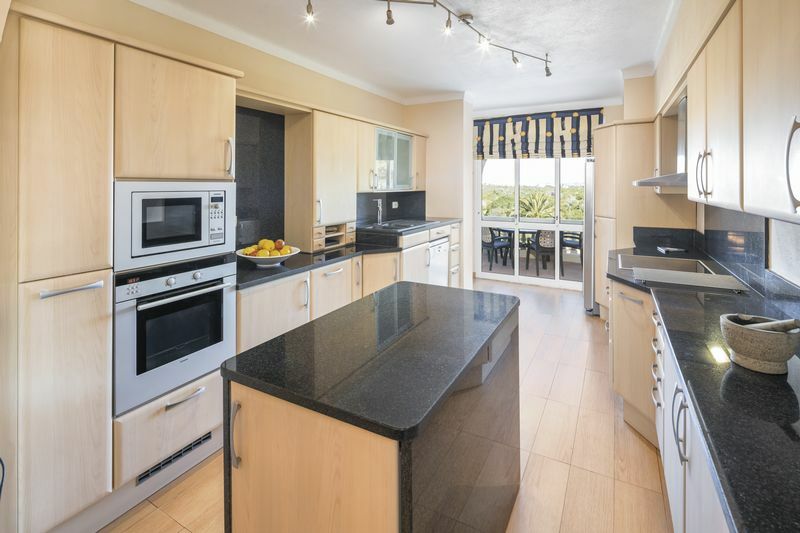 Modern refitted kitchen with patio doors to a terrace overlooking the pool and having great sea views. The extensive range of wood effect floor and wall units are complimented by black granite worktops and splash back. A matching island unit gives even more storage. 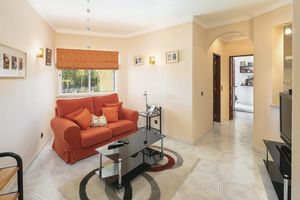 Fitted with quality appliances which include a dishwasher, fridge freezer, 2 ovens a built in microwave and ceramic hob. 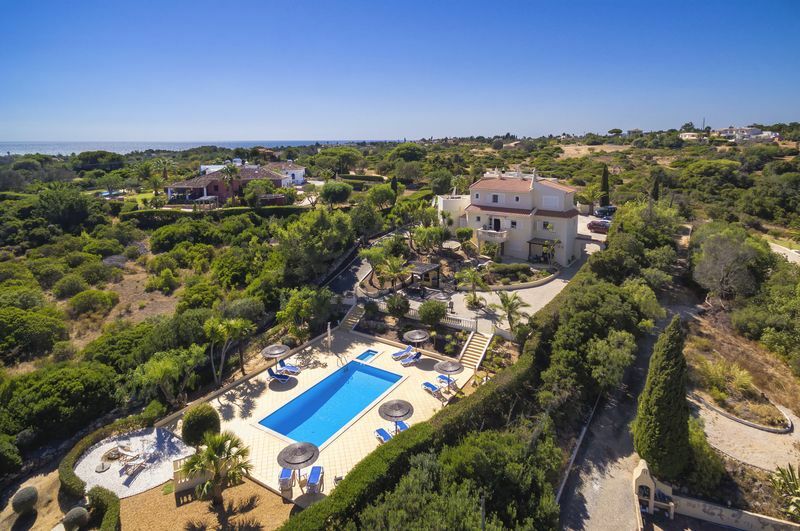 Views towards the sea at Senhora da Rocha. Huge utility room to cater for all the guests. 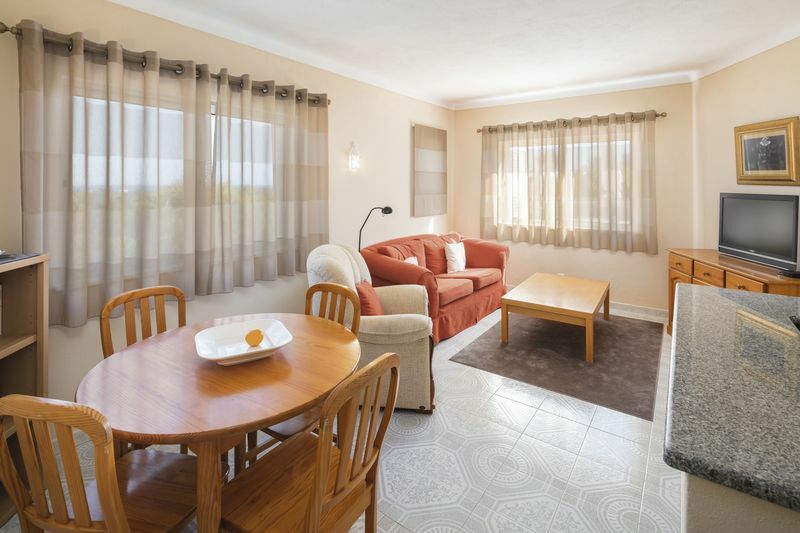 It has ample storage cupboards and an American style fridge freezer, washing machine and dryer. 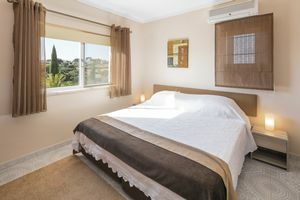 Double bedroom with a window with a sea view, fitted wardrobes and air conditioning. 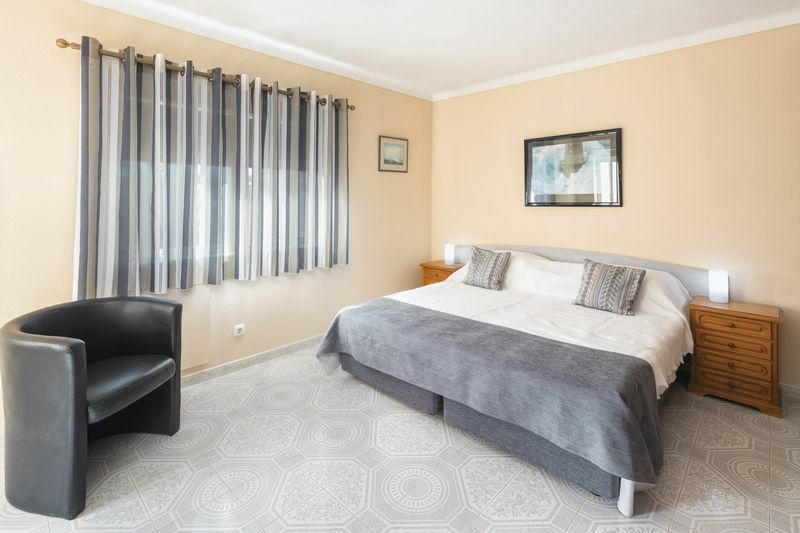 Everything in this villa is large, including the bathrooms, this one has 2 windows, a w/c, bidet, single basin with a vanity unit, a bath with a shower fitting and an electric wall heater. Double bedroom with a window and patio doors to a terrace, fitted wardrobes and air conditioning. 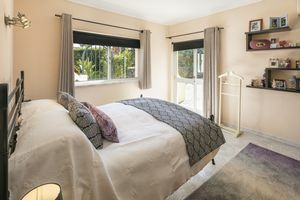 This en-suite has a window, w/c, bidet, single basin with a vanity unit, heated towel rail, large walk in shower and an electric wall heater. Patio doors access a large terrace, making it a light bedroom, its fitted with air conditioning and fitted wardrobes. Open plan to the lounge and fitted with a fridge, sink, microwave and electric hob, Perfect for simple meals and snacks. With a window, w/c, bidet, single basin with a vanity unit and a bath with a shower fitting. This bedroom has a window and an exterior door to a terrace with great views. It has fitted wardrobes and air conditioning. The lounge area has a kitchenette to the side, fitted with a sink, fridge, microwave and electric hob. The units and breakfast bar and fitted with granite worktops. 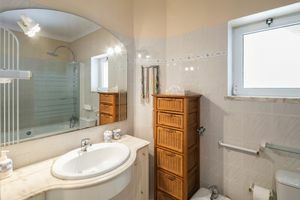 This en-suite has a window, w/c, bidet, single basin with a vanity unit and a bath with a shower fitting. 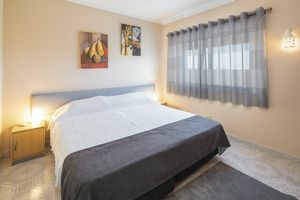 Double bedroom with a window, fitted wardrobes and air conditioning. This lounge has 3 windows with sea views. The kitchenette is fitted with a sink unit, fridge, microwave and an electric hob. Having a w/c, bidet, single basin, bath with a shower fitting and a window. 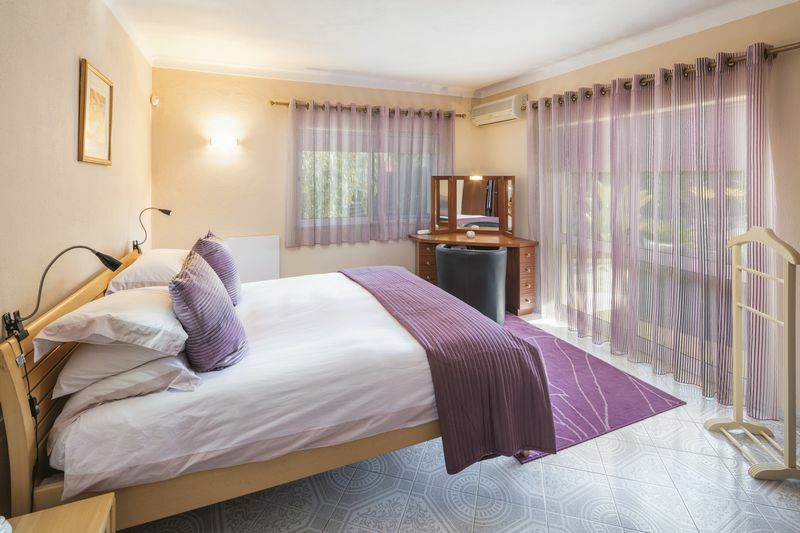 The largest of the 4 suites has a bedroom with fitted wardrobes, a window with country views and air conditioning. 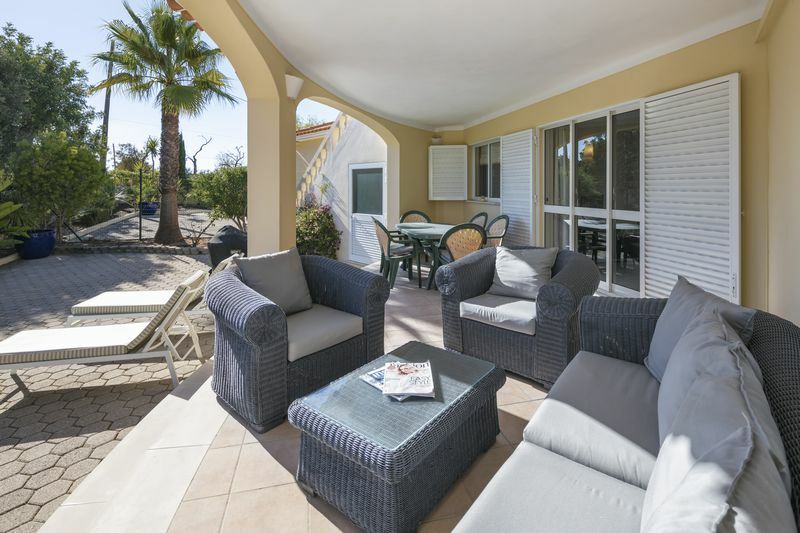 This lounge has 4 windows and access to a large terrace with great sea views. With a large window with views across the countryside. It is fitted with a sink unit, fridge, microwave, and an electric hob. Fitted with a w/c, bidet, single basin with a vanity unit, a bath with a shower fitting and 2 windows. Large roof terrace with 360º views, the sea views being the biggest attraction. This apartment was created last year to allow the current owner to rent the entire property and still allow the owner to reside in the property, so it is finished to a high standard. Fitted in 2018, this modern kitchen has a great range of cream floor and wall units and grey stone worktops and splash backs with a matching island unit. Appliances are a dishwasher, oven, built in microwave and a ceramic hob. Fitted with a w/c, single hand basin with a vanity unit. 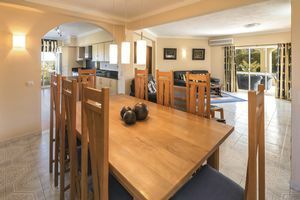 Open plan to the kitchen. Fully fitted with hanging rails and drawer units, it also has a large window with sea views. Large bedroom with additional seating area, air conditioning and a patio door to a terrace with sea views. 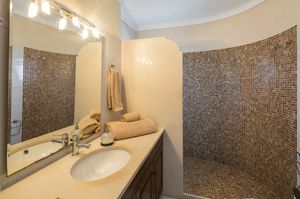 Fully tiled and having a large size shower, w/c and a single basin with a vanity unit. This utility area is designed to allow the owner to service the guests laundry etc. It is fitted with 2 washing machines and 2 dryers and has ample shelved storage for supplies. 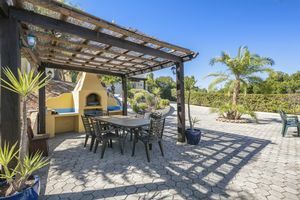 Great pool with large surrounding sun terrace and adjacent shaded BBQ and dining area and shower.